Meat section of English tea, depending on class. 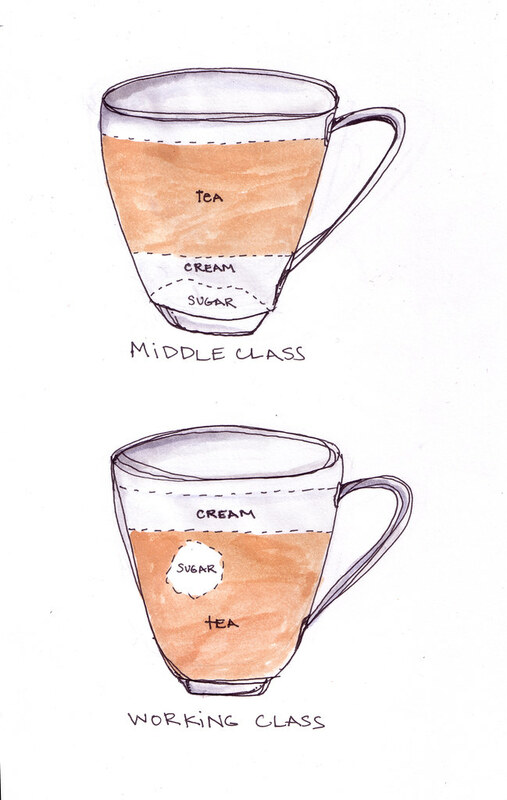 When I was in England, I remember some brits saying that you could tell the class (and sometimes religion) of a person, depending on whether they added milk and sugar to the cup before pouring the tea, or adding them after the tea was already in the cup. so yeah. that's what this is.